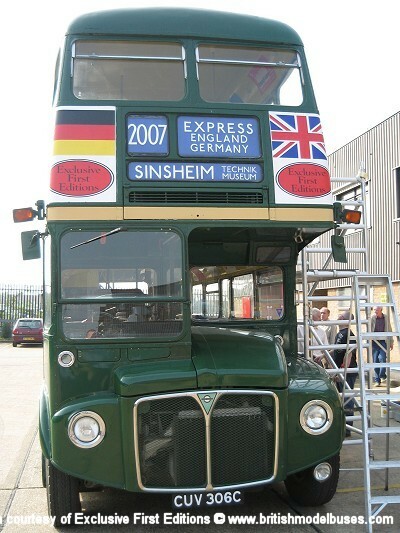 These photographs show RML2306 (CUV 306C) being prepared outside EFE's offices in Enfield for its planned attendance at the Sinshiem Bus Rally in Germany during April 2007. 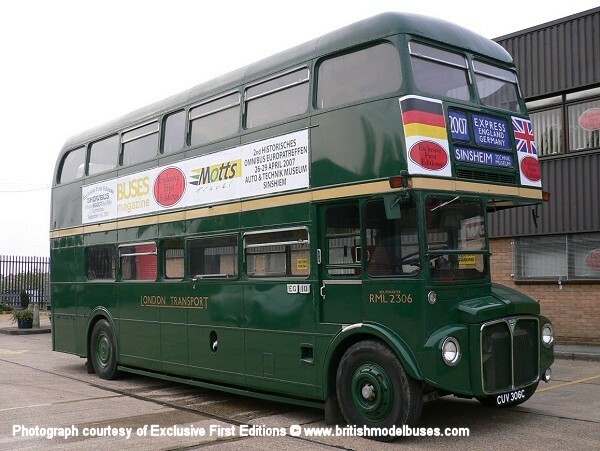 Unfortunately due to travel restrictions it never made it to the rally. 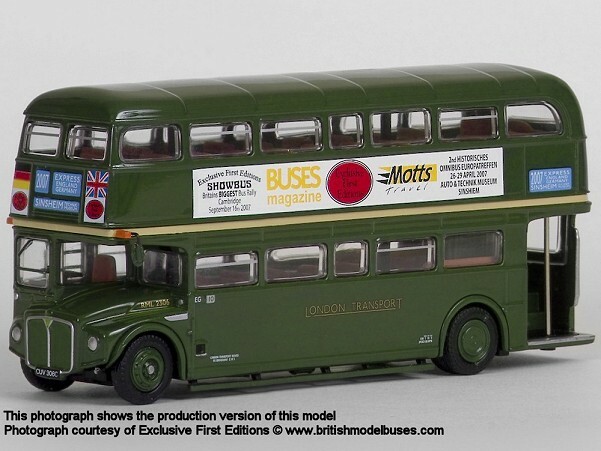 This is the exact vehicle represented in model form by EFE as model 31904, 31904A. 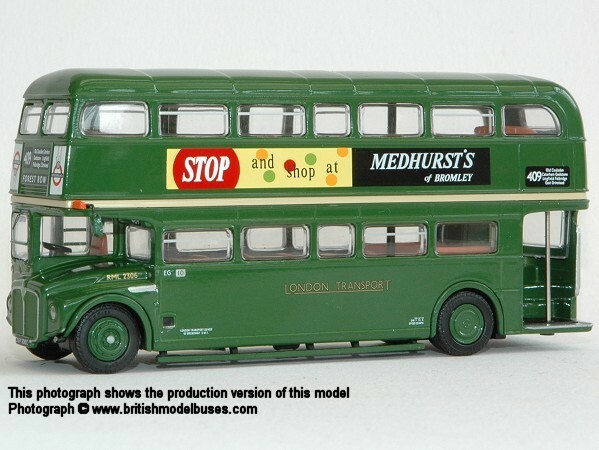 It has also been represented by a code 3 model CBR001 for Country Bus Rallies 2001 East Grinstead Rally. 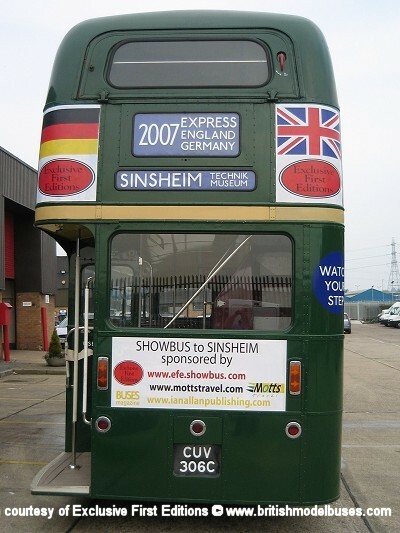 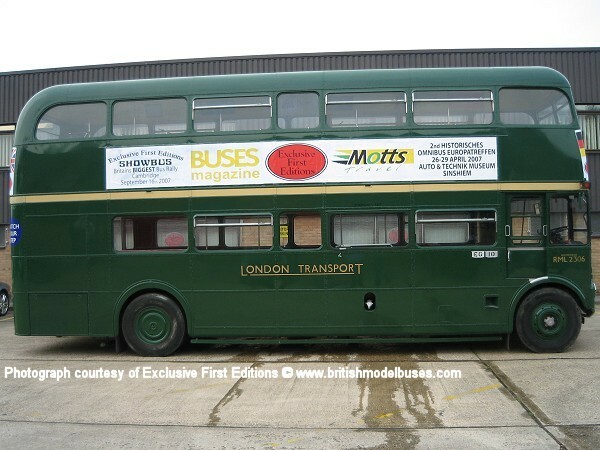 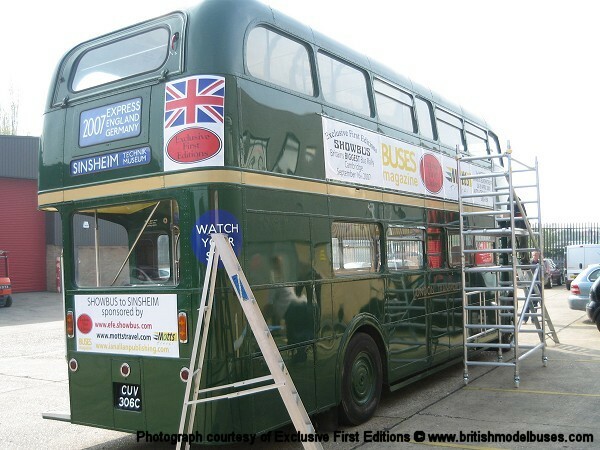 An earlier photograph of this vehicle taken at Showbus on 18 September 2005 can be found on the Gallery Routemaster RML page.